This release is a free download. 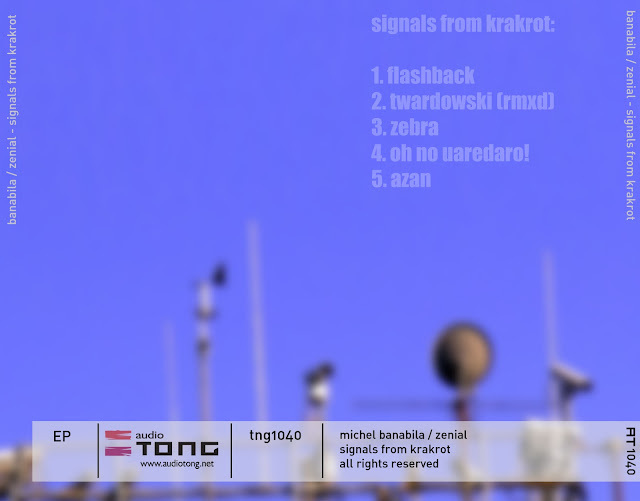 Signals from Krakrot is an effect of a collaboration between Krakow-based sound artist Zenial and Michel Banabila, a composer living in Rotterdam, released by AUDIOTONG. They have started working together in 2007 on a track "Oh No Uaredaro" which has been released on Banabila's CD "Traces, music for films + documentaries" (Tapu/NL 2007). In 2008 they've met again in Rotterdam to finish the material for 'Signals from Krakrot'. The music on this album is a mixture of what the two artists are mainly known for. Banabila's chilled illustrative music gets new dynamics when spiced with noisy elements from Zenial - and other way around, dark drones and soundscapes get more accessible when prepared by the duo. The album has been recorded with the use of old analogue electronic instruments which had a huge impact on how the tracks sound here. Very moody, athmospheric release, definitely worth checking. Michel Banabila is a composer / producer, best known for his VoizNoiz CDs. 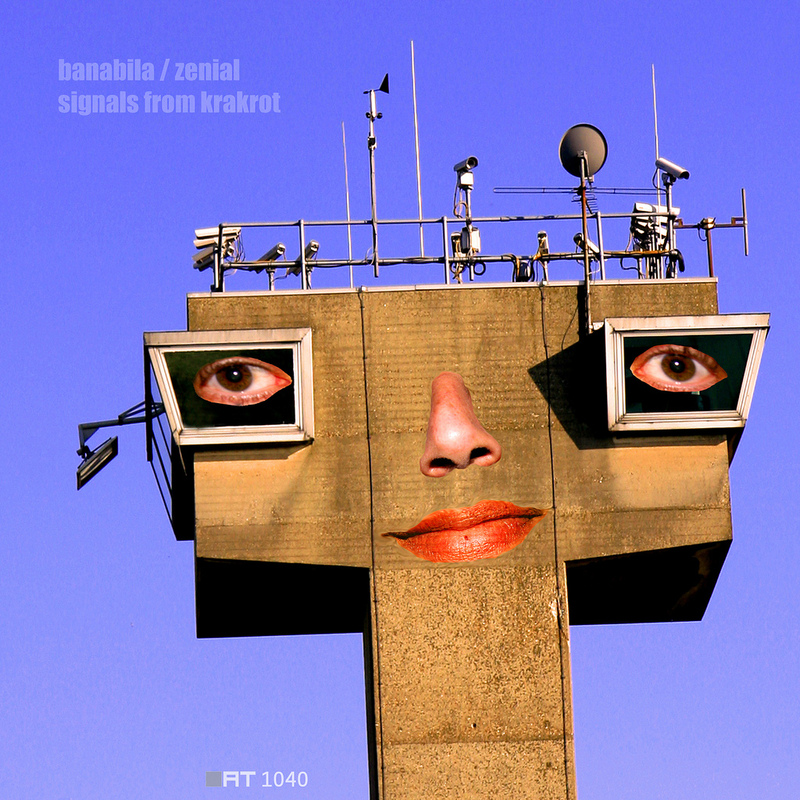 Besides acoustic instruments, Banabila uses found objects, electronics, field recordings, shortwave /tv/ film recordings, and vocoder-plugs. His recordings can often be discribed as cinematic and atmospheric. Banabila has composed musical scores for numerous films, documentaries, video art, theatre plays and choreographies. Lukasz Szalankiewicz (aka Zenial) is a historian, sound designr and contemporary electronic music composer living in Krakow. 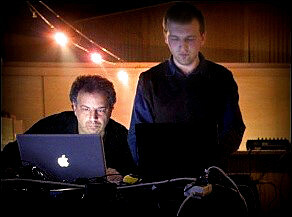 Member of the Polish Society for Electroacoustic Music (PSeME), participated in many international festivals (e.g. in Austria, Russia, Bulgaria, Germany, Holland, Czech Republic, Slovakia, Ukraine, France, China, Hungary, Kazachstan, Peru). His practice extends to research audiovisuals performance and interactive installations. Recorded in Banabila's studio & the WORM studio, Rotterdam. Cover photograph by Michel Banabila.